Every sled sale matters. With that mandate, each of the four sled makers began adding greater flexibility to their product lines by building ssleds for new niches in snowmobiling. This began happening about 2014 as the sled market outside North America showed unexpected growth. 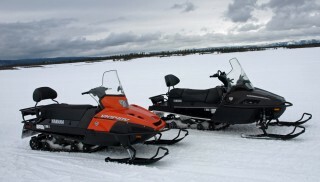 In 2014 European, Scandinavian and Russian sales of 54,320 snowmobiles were larger than US sales of 54,028 sleds. That movement indicated an active and viable market for sleds that, if it continued, could add healthy revenues to the business side of the sport. But such robust sales didn’t continue as by 2016, sales outside of North America dropped to 26,535 units. That compared to US sales which stayed at traditional levels in the 54-56,000 units sold. Still, the initial flurry of non-North American sales provided the impetus for sled manufacturers to revisit their product planning and consider more closely what it was that markets such as Russia and Scandinavia wanted and needed. Ski-Doo and Yamaha had an edge as Ski-Doo’s parent, BRP, also owns Finland-based Lynx snowmobiles, a longtime and successful brand. It has sleds with unique features such as a proven telescopic suspension and exclusive synchromesh shift on the fly two-speed transmission. Add a 146-inch long track, cargo bags and a two-up seat to a Yamaha Sidewinder and you have a virtual go-anywhere sporty versatility sled. Yamaha flexes worldwide technology as it involved its Russian-based subsidiary in the creation of the liquid-cooled VK Professional and the re-creation and technical updating of the two-stroke VK 540. Both sled makers appreciate the uniqueness of these Arctic Circle climates and work to provide sleds that can survive the needs of their owners. To these two companies, add in the new “vision” Polaris provides with its high-performance long-track Titan series and Arctic Cat’s Bearcat, including the wide track Bearcat WT. On the face of it, these sleds should be considered utility models. Of the group, we’d argue that the Yamaha models tend to be the most utilitarian. These Yamaha models are designed to satisfy customers like Andrey Lukahin who lives about 59 kilometers from Krasnoyarsk city in central Siberia, the geographical center of Russia. Don’t let the utility designation fool you, Polaris’ all-new-for-2018 Titan has an 800cc Cleanfire twin strong enough to launch a ski-popping holeshot. Created to satisfy the demands of serious Siberian snowmobilers, the orange VK540 shares the market with the designed in Russia VK Viking Professional. As these far north users have unique needs, their sleds need some modifications for local conditions. Lukahin added ski extensions to ride in very deep snow or in Siberian forests, where you cannot ride at high speeds. Most of the people in Andrey’s group face tough conditions and require reliable and durable machines. 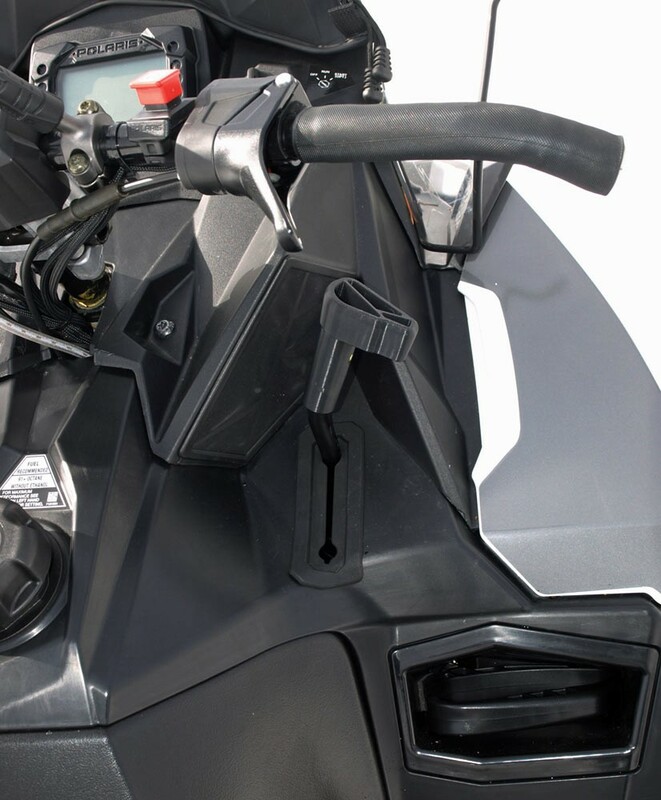 Understanding the marketplace aids sales and is why all four snowmobile manufacturers have re-evaluated their model lines. Ski-Doo offers the greatest range of sleds, offering everything from its “mechanical snowshoe” Tundra Sport with a 550cc fan-cooled twin to the Expedition Xtreme with an 800cc E-Tec twin powering a 154-inch long by 20-inch wide track. While the Polaris Titan is all-new it mimics the Ski-Doo as it, too, features a high-performance 800cc twin to power a long and wide track. Arctic Cat’s Bearcat series use a Yamaha 1049cc four-stroke as its big engine, the same as used in Yamaha’s own VK Professional. Observing its partnership with Yamaha, Cat’s Bearcat XT is pretty much the Yamaha VK540 in Cat coloration. Arctic Cat’s Bearcat with options like front winch, “gooseneck” hitch and flashing lights add to its versatility while its standard 1049cc Yamaha four-stroke powers through a three-speed transmission. These sleds tend to be more utility with a sense of sport added. But you can count on them to most often fulfill utilitarian services as they offer winches, “trick” hitches, underseat stowage, articulating rear suspensions for easier reversing in northernmost areas, extra tall windshields and such. Still, if you look at today’s “mountain” sleds, you may notice a continuation of a trend to move them out of the highest elevations down to sea level. 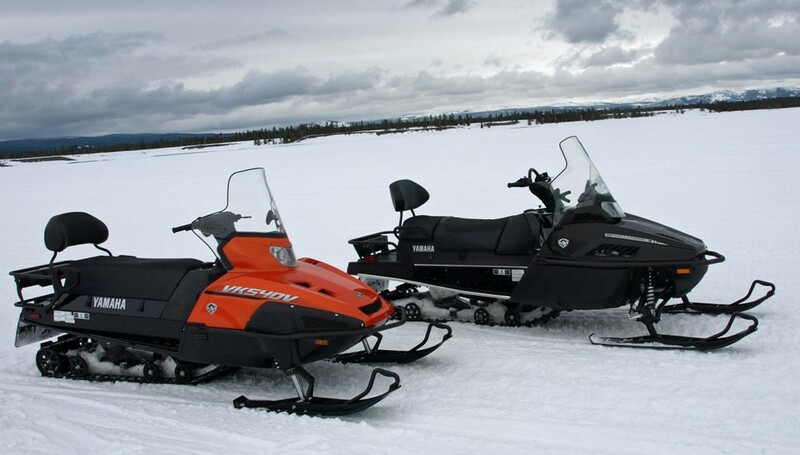 According to metropolitan snowmobile dealers in Minnesota, where elevation at Minneapolis-St. Paul International Airport peaks at 842 feet, they sell a surprising number of “elevation” sleds to local snowmobilers. 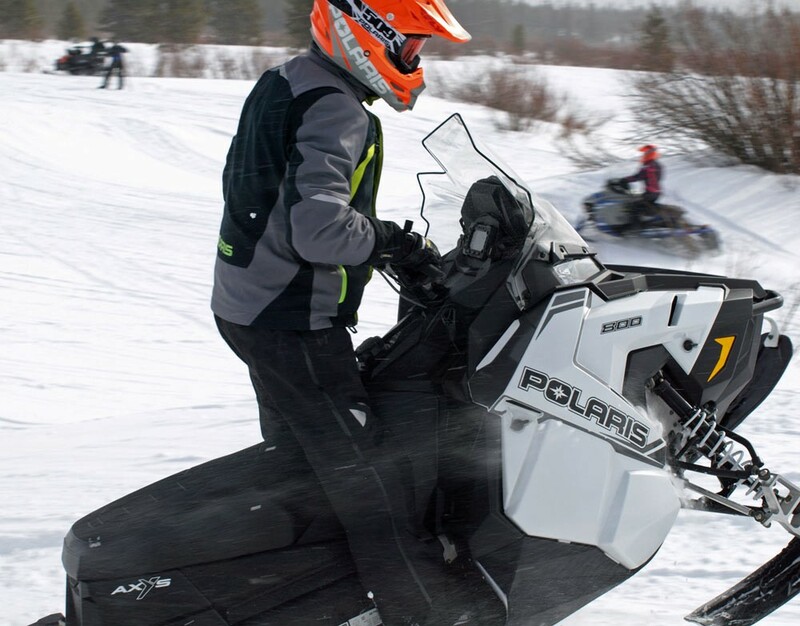 These riders tend to ride in the snowiest “lake effect” areas of northeastern Minnesota and Michigan’s Upper Peninsula. A few times a season, they will drive a thousand miles to Wyoming, Idaho and Montana seeking deep mountain snow. If you study the various product brochures, especially the Ski-Doo one, you’ll see so-called powder models equipped for sale in low elevation areas. These sleds have been factory-tuned for elevations of 6,000 feet or less. They may have tracks with lug height options, but they will have the same lengths as the sleds sold in the deep snow area. 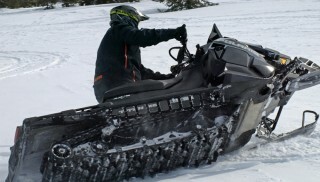 Ski-Doo recognizes the growing popularity for deep snow sleds like its Summit line in the flatland elevations of the Upper Midwest and Eastern Canada. 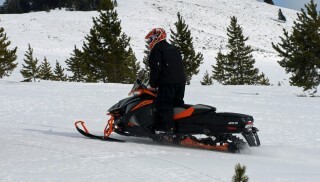 You can also order such models from Polaris and Cat, but Ski-Doo has worked this segment very well. 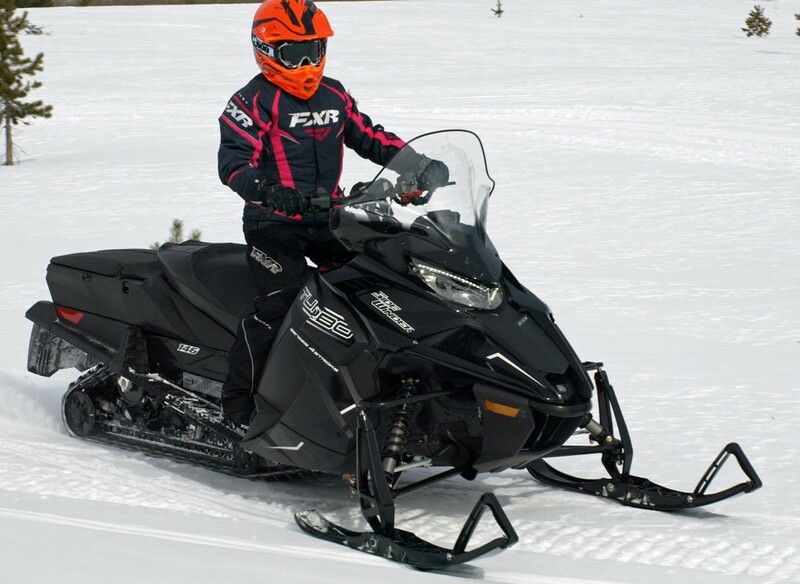 According to local dealerships, this trend to buying deep snow models has been growing. We’ve been impressed with the new breed of what we’ll call crossover sport-utility models like the Bearcats, Titans and Expeditions. These certainly are not your grandfather’s utility sleds. Those tended to be cumbersome, wide and long snow-tractors with geared down and underpowered drive systems. Think of the 440 Indy WT among others. 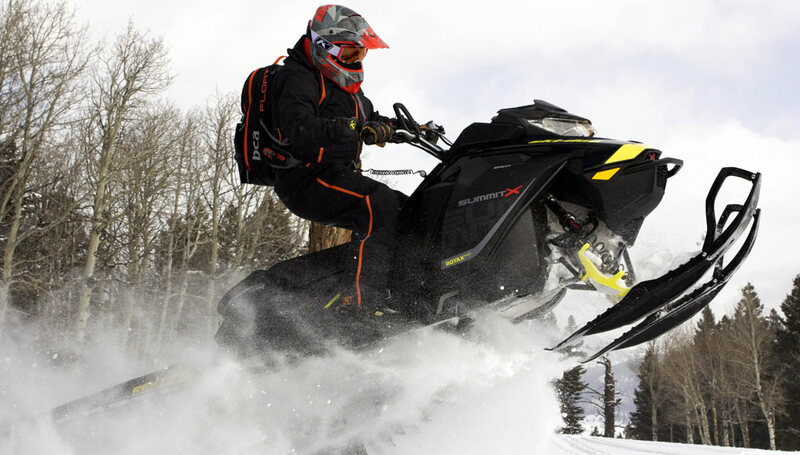 The modern 600 Voyageur 144 takes full advantage of its 600cc Cleanfire twin, AXYS chassis, modern IGX 144 suspension and RMK-breeding to offer sport in the utility segment. Even the sleds with multiple gearing like the 3-speed Bearcat, two-speed Titan and synchromesh Ski-Doo deliver usable performance that sets these trail commanders apart from the sleds of yesteryear. Utility? Yes. Limited performance and trail fun? Unlikely. Multi-speed transmissions like the two-speed unit in the new Polaris Titan add versatility and give sleds hauling capabilities. Modern snowmobile marketers are quick to recognize a sales opportunity and respond adroitly at any and all opportunities to add sales and revenues to their corporate bottom lines. 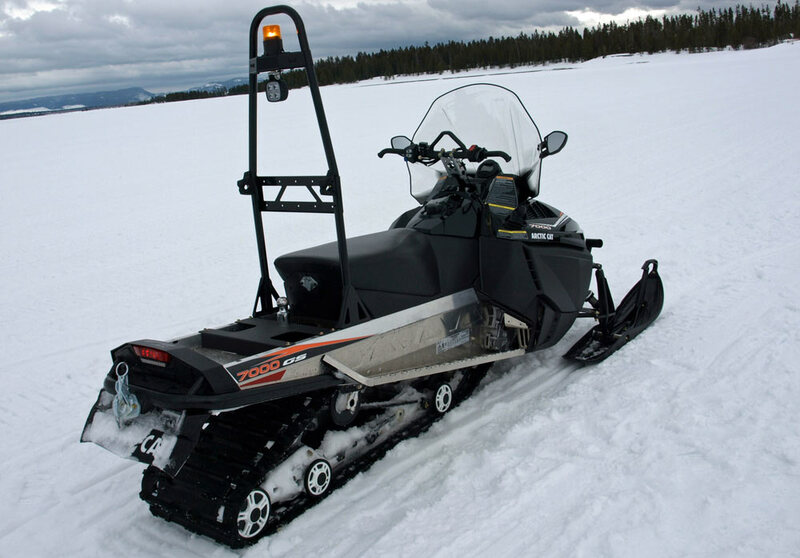 Why limit a sled niche with a pejorative classification such as “utility,” when with a little engineering prowess, you can expand potential sales by adding versatility and sport to them? Why not build sleds and create new niches? That 2014 flash of sales to the Russian market empowered the sled makers to rethink their niches and allowed them a chance to create improved products that all markets could utilize. Now that’s versatility.